The Loud Book | Shelf Elf: read, write, rave. I am half Irish, so I know how to be loud. But I love quiet. I crave it. Maybe it’s because I grew up in the gloriously silent middle of nowhere. Or maybe it’s because I spend my days with 27 children who have a particular gift for Loud. Whatever it is, I would definitely admit to being on Team Quiet. 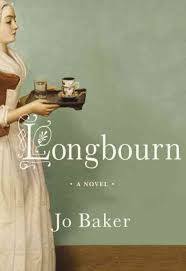 Reading Deborah Underwood’s companion to the national bestseller The Quiet Book, has made me look at loud a little differently. It would seem that loud has a lot to offer. (But SHHH!!! PLEASE don’t tell my students I said that. Seriously). Each page in The Loud Book presents readers with a different kind of loud to consider: good louds, bad louds, accidental louds, gorgeous louds, annoying louds and more. There will be louds you’d never really thought of as being loud before, such as “crackling campfire loud” and others that you realize you knew all along, but never took the time to explain properly, like “deafening silence loud.” Underwood’s text is clever throughout, and allowed lots of room for her outstanding illustrator, Renata Liwska, to create humour, warmth, and plenty of noise in her images. They are gorgeous. In particular I loved the one for “fireworks loud.” You can see it at Renata’s blog, here. Amazing, yes? Each illustration is a story in itself. You can see a few more over at 7 Impossible Things Before Breakfast. To keep it simple, and loud, I have to say: I LOVE THIS BOOK! Because really, like its predecessor, The Loud Book is proof that a simple concept, beautifully executed, is hard to beat. I hope that Underwood and Liwska find a way to work together again, because I think their two books prove that they are a team worth shouting about. In a good way. 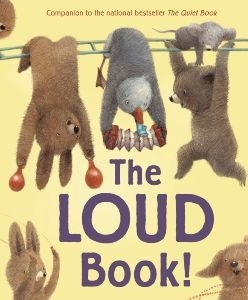 The Loud Book is published by Houghton Mifflin. This entry was posted in Illustration, Picture Books on April 5, 2011 by shelfelf.